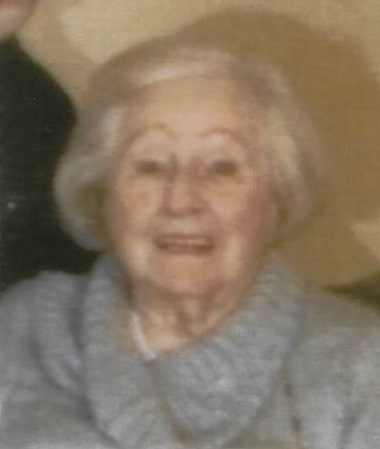 Ruth H. (Clopein) Douglas, 95, of Smithsburg, MD, and formerly of Linthicum Heights, MD, went to be with the Lord Sunday night, August 19, 2018 at her home. Born Thursday, December 7, 1922, she was the daughter of the late James Gordon Clopein and Mary Virginia (Smith) Clopein. She was preceded in death by the love of her life, William Douglas, whom she married 76 years ago in 1942. Ruth is survived by her daughter, Diane Douglas Quinn “Sister Clare” of Smithsburg, MD, son-in-law, Martin Quinn of McLean, VA, two granddaughters, Esther Quinn Fairall and husband Michael of Greencastle, PA, and Suzan Elizabeth Quinn and husband Josh Reed of Smithsburg, MD, eight great grandchildren, Mike Fairall, Jr., Cody Fairall, Lily Fairall, Cassidy Quinn, Chris Dagey, Ian Hartge, Morgan Hartge and Haydan Reed and three great-great-grandchildren, Landon Fairall, Sophia Fairall and Grace Lynn Mong. In addition to her parents and husband, she was also preceded in death by sister and brother-in-law, Dorothy and Joseph Wise. A memorial service will be held Monday, September 24, 2018 at 11:00am at St. John Lutheran Church, Maple Avenue, Linthicum Heights, MD, with Rev. George Tuttle officiating. In lieu of flowers, memorial donations may be made in memory of Ruth Douglas to, Little Sisters of Jesus and Mary at, 411 Poplar Hill Ave. Salisbury, MD, 21801 or Hospice of Washington County at, 747 Northern Ave. Hagerstown, MD, 21742 / www.hospiceofwc.org. Arrangements were made by J.L. Davis Funeral Home, Smithsburg, MD, and online condolences may be offered at, www.jldavisfh.com.